If the American IRS is looking for precedent for their upcoming tax guidelines related to bitcoin, they can now look to Germany. An inquest from the Bundestag(German Parliament) reported in the German language publication Die Welt declared that profits from the sale of bitcoins held as an investment are exempt from taxation if the coins are held for over one year. The inquest was initiated at the request of Bundestag Finance Committee member Frank Schäffler of the Free Democrat Party (FDP) who has expressed interest in bitcoin as a means to counterbalance the existing financial system. Schäffler is noted for criticizing the European Central Bank(ECB) as criminally accountable for its actions related to the Cypriot bank bailouts, noting that if the ECB were a private institution, its president would likely face prosecution. This parliamentary ruling defines bitcoins as a privately held movable asset which as a classification are subject to capital gains tax only if the asset is sold within a year of purchase. Subject to minor stipulations, bitcoins sold for profit as an investment before the one year mark would be subject to a 25% capital gains flat tax. If bitcoins are sold more than a year after they are bought, the gains are tax-exempt. In the United States, the Internal Revenue Service is currently conducting an assessment at the behest of congressional agency the Government Accountability Office of what guidelines to provide American taxpayers with in regards to bitcoin taxation. While the GAO report into bitcoin taxation provided an outline of how bitcoin works and what tax issues may arise, the burden of defining what tax regulations apply to bitcoin falls squarely on the IRS. This perplexity is not unique to the United States. Anywhere bitcoin has developed a significant usership, government revenue agencies are puzzling over how to interact with the new economy. 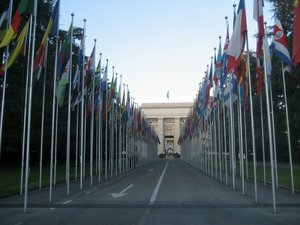 The Bundestag’s research into how bitcoin should be integrated into current tax law provides a helpful resource for these agencies to craft rules unique to each country. One issue that the report on the Bundestag’s discovery did not immediately make clear, however, is how tax law should treat bitcoin when not used solely as an investment vehicle. While perhaps initially the most common usage of bitcoin in the financial world was as a trading avenue, other areas are rapidly increasing. With the recent influx of venture capital interest into bitcoin, the number of companies that accept bitcoin as payment for goods and services is growing. By extension, the number of people receiving a paycheck denominated in bitcoin is also increasing. 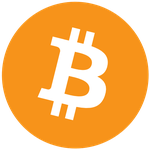 These two areas, the classification of bitcoin as it relates to sales and income, provide unique challenges for the leadership of revenue agencies due the wide ranging attributes of bitcoin. This uncertainty also inhibits some businesses and individuals from accepting bitcoin as payment or salary. The solutions, however, do not have to be complex. With the definition from Germany as an example, crafting tax policy becomes easier. One way to handle the income tax part of the problem would be to separate the income into two portions. The first part, the initial paycheck, would be taxed under existing income tax rules based on the average exchange rate for the pay period. This leaves the problem of how to handle exchange rate fluctuation. The solution to that would be to treat any value increase that occurs on top of the baseline exchange rate at the time of the paycheck as a capital gain. This would mean that if the value of bitcoin increased rapidly from the time the paycheck was received until either the bitcoins were sold, or until the end of the tax year, two separate taxes would apply. Income tax for the initial paycheck, and capital gains for any increase (or decrease) thereafter. A similar solution would work for issue of business revenue. Sales tax, or applicable tax for whatever service the business provides, would be decided based the exchange for a defined set of dates during which the tax liability was incurred. Any fluctuation afterwards would be ruled by capital gains regulation. While this is not a comprehensive analysis of the issues involved, it does create an outline for potential tax rules. Germany’s proactive initiative in producing bitcoin tax guidelines for their citizens provides a clear mandate for other countries to follow suit. The IRS and its counterparts in other nations would do well to prioritize similar solutions.